The mechanical design parameters of surrounding rock and primary support of weathered rock tunnel are difficult to obtain by experiments. 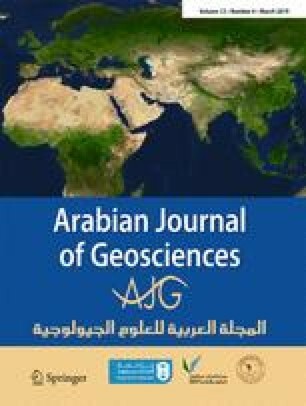 In this paper, taking the ratio of vault settlement to flank wall horizontal displacement as an investigation variable, we proposed the displacement ratio dichotomy numerical back analysis method (DDNBAM) to calculate the physical–mechanical parameters of tunnel surrounding rock-initial support system. Based on the DDNBAM, we presented a new method to evaluate the rationality of primary support design parameters by the ratio of the equivalent lateral pressure coefficient to the equivalent Young’s modulus with time for weathered rock tunnel in construction. The results are shown as follows: the results calculated by the DDNBAM may reasonably reflect the dynamic variations of tunnel surrounding rock-primary support system using the center cross disphragm (CRD) method; the higher calculation precision may be obtained using the DDNBAM, comparing with the parabolic-apex back analysis method previously proposed by Xu (2012); and adopting the DDNBAM may obtain more reasonable and reliable physical–mechanical parameters of surrounding rock-initial support system. This work was financially supported by the Grants from the Yalong River Joint Fund of National Natural Science Foundation of China and Yalong River Hydropower Development Co., Ltd. (No. U1765110), the Fundamental Research Funds for the Central Universities (22120180312), the China Postdoctoral Science Foundation (20060390165), and the Natural Science Foundation of Shanghai (16ZR1423300).